Laughter is a necessary ingredient for a peaceful mind. 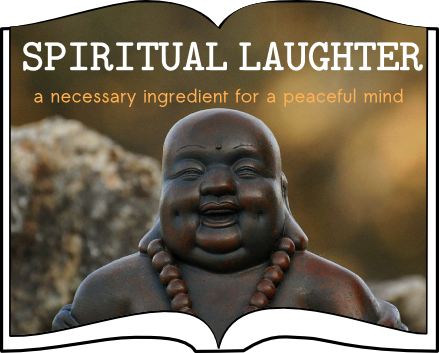 Laughter allows happiness to enter and often enables perspective to occur.Spiritual awareness is not a deadly serious pursuit and laughter lubricates the Soul and elevates our vibrations to a more blissful existence. For many years Neville has been sending and receiving jokes and uplifting stories via daily emails to friends and family all over the world. For Neville it is a daily tonic as he sifts through the emails he receives and decides which friends will benefit from each email. This Laughter section captures those jokes of a spiritual and religious nature and we will simply list more jokes as and when Neville receives them. We truly hope no one is offended by them and if you are then please find other portions of this website to visit instead. The originators/authors of these jokes have long been lost as they circulate via emails on the Internet.Should we be infringing on any copyright material we apologise and upon notification will insert such copyright notices. An old Yiddish proverb says: What soap is to the body, laughter does for the Soul. GOT A SPIRITUAL/RELIGIOUS JOKE YOU WANT TO SHARE? -USD/ $100 prize for the best joke!